After two millennia, Jesus remains as fascinating and compelling a figure as ever, not only for Christian communities but also for countless others in diverse contemporary cultures. 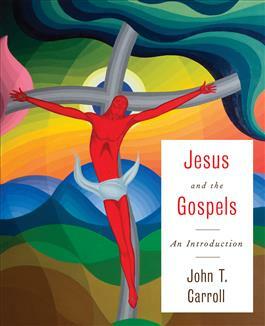 In this fresh introduction to Jesus and the Gospels, prominent scholar John T. Carroll offers a thoughtful reading of the four Gospels, paying close attention to narrative structure and rhetorical strategies, with an appreciation of the contexts that shaped and continue to shape their interpretation. Informed by the best recent scholarship, Carroll's clear and accessible presentation examines the connections between the Gospels and contemporary life and the challenges these narratives might present to twenty-first century readers. Introductory students will appreciate the use of call-out boxes throughout the book that highlight important points and themes. This engaging volume will introduce Jesus and the Gospels to a whole new generation of readers in the culturally and religiously plural world of today. Instructor and Student Resources Available! Visit jesusandthegosp els. wjkbooks.com to find resources for instructors, including a sample syllabus; questions for study, reflection, and discussion; and maps and images that can be incorporated into presentation materials. In addition to teaching materials, resources for students include chapter summaries, flash cards, study questions, and fast facts. "This is a rich and timely introduction to the Gospels by a seasoned scholar who is deeply committed to engaging biblical texts on their own terms, soundly and theologically, and then bringing them into genuine conversation about the pressing social and political realities of our times. The result is an honest, highly nuanced, yet imminently accessible reading of the Gospels in their ancient and modern contexts that neither shields their troubling aspects in piety nor allows the reader to go unchallenged (or uninspired) by their collective moral vision of worldly values turned upside down." "Good 'introductory' texts are hard to find, as they tend to be too thin and superficial, on the one end, or too thick and ponderous, on the other. John Carroll, however, strikes that 'just right' balance in this substantive and stimulating introduction to the Gospels. He particularly excels at unfolding the distinctive literary themes and patterns of each Gospel narrative within the social and political contexts of first-century Roman Palestine; moreover, as a welcome bonus, his concluding chapter offers judicious reflections on the challenges of Gospel study for contemporary ethics. Beautifully written, carefully organized, and critically engaged, this work shoots to the top spot of recommended Gospel surveys."